Jillian Sanders is a senior, 18 years old, and a lover of many things. She loves writing, playing the piano, reading, being outside, Younglife, and choir. She was born in Arkansas, but got out of there and moved to Texas as soon as possible when she was six years old. At home, she has two dogs, two sisters, and two house plants. She enjoys analyzing, creating, and playing music both at home and at her church, where she plays the keyboard on Sunday mornings in the praise band. The keys to Jillian’s heart can be found in nature, (she really loves nature. It’s pretty neat. ), music (she cries over pretty songs), and cozy socks. She plans to attend Texas A&M University in 2017, (whoop), with a major in environmental studies. 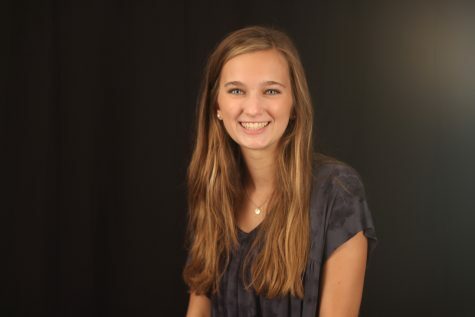 Serving the Red Ledger for her fourth and final year as three-time editor-in-chief, she is super pumped to write stories, improve the site even further, and leave a lasting legacy.